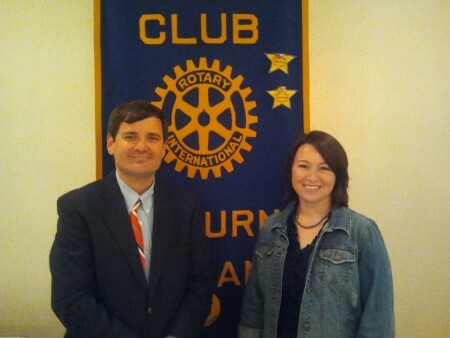 Jennifer Foster, a political columnist with The Opelika-Auburn News, recently spoke to the Auburn Rotary Club on the political landscape for 2012. Pictured with Foster is club president David Reeves. The Auburn Rotary Club meets each Wednesday at noon at Saugahatchee Country Club. For more information, visit www.auburnrotaryclub.com.